OTTAWA - The Conservatives have never been shy about flying the flag for the monarchy. 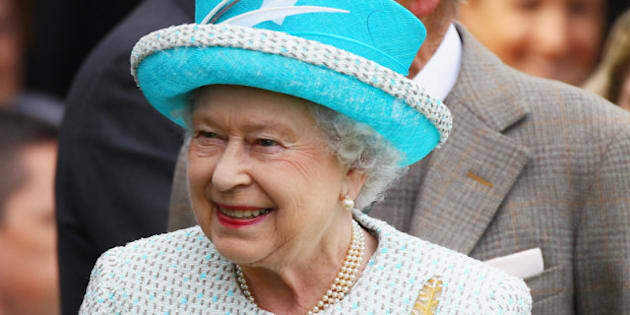 Now the government is ordering even more Diamond Jubilee flags to mark Queen Elizabeth's 60th year on the throne. Canadian Heritage has put out a tender for 2,250 large flags carrying the maple leaves and crown that form Canada's official Diamond Jubilee emblem. Taxpayers won't know the cost of the 90-by-180-centimetre flags until the contract — with an option for up to 2,000 more — is actually awarded. This order comes a few weeks after Canadian Heritage paid $55,135 for 500,000 hand-held Diamond Jubilee flags. The purchase is the latest in a series of preparations commemorating the day Queen Elizabeth became sovereign on the death of her father, King George VI. The government also ordered a new painted portrait, a stained-glass window, a medal and coins. Other pro-monarchy moves by the Conservative government include restoring the word "royal" to the names of the navy and air force, and insisting the Queen's picture be displayed in embassies and at Foreign Affairs headquarters.